Found this years ago at a great dig of a sale in Buffalo. I couldn't pass it up as it was a great site gag. 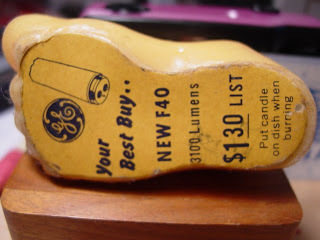 When did GE come out with the good old F40 bulb and where would dad's workbench be with out it? 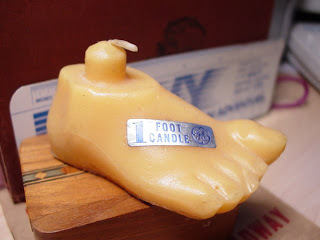 This is a 3 inch foot. Focus is a little soft here, but still readable. wow, that's a one of a kind. What is an "Urban Archeologist"?